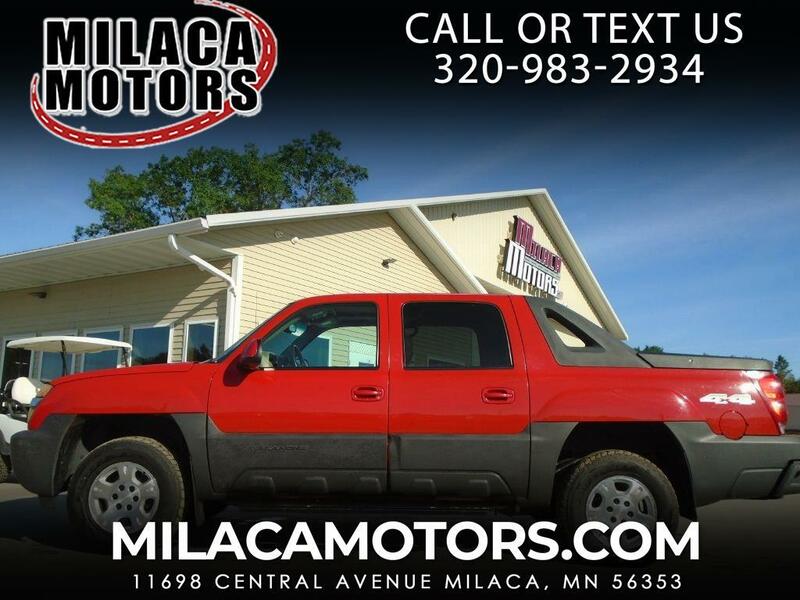 This 2003 Chevrolet Avalanche combines the passenger-hauling capabilities of an SUV with the utility capabilities of a pick-up truck. The Avalanche is extremely versatile with six-passenger capabilities, a long bed for hauling plenty of cargo and a 285 horsepower 5.3-liter V8. Safety features include front and side-body airbags, ABS brakes and daytime running lights. Luxury equipment includes dual zone auto climate control, cruise control, keyless entry, full power accessories and lumbar seats.